Can you believe Easter is just a few weeks away! 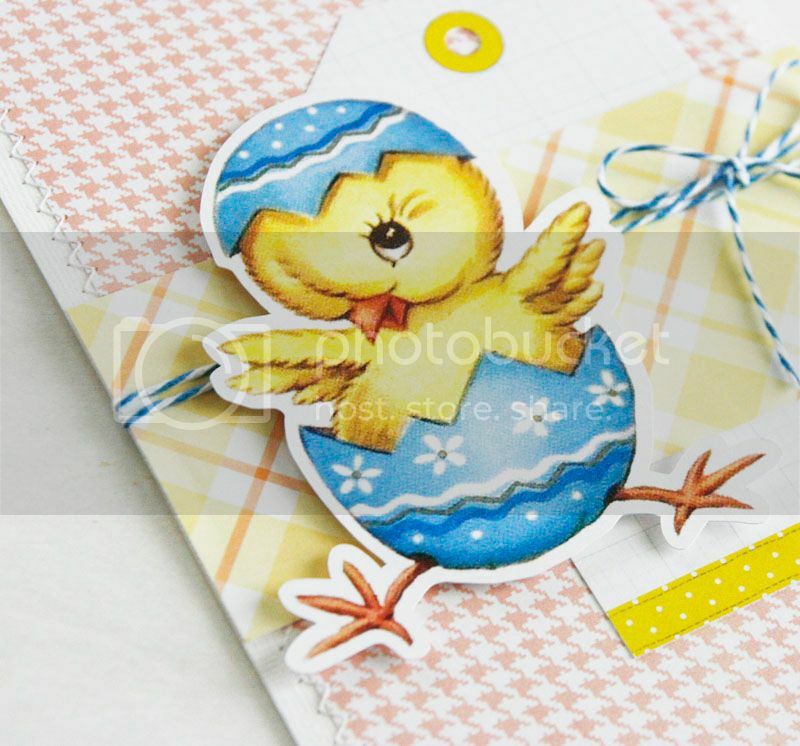 Here's a sweet little Easter card I made for the sketch challenge over at Pretty Little Studio. And here's the fun sketch. As you can see, the sketch was made for a layout, but can be used just as easily for a card too! To start, I machine stitched the beautiful houndstooth patterned paper to my cardstock base. I wanted to use a tag since tags were a big part of the sketch, so I set the tag off to the left side of my card, in place of where a photo is shown on the sketch. Next I added a strip of the pretty yellow plaid to represent the largest stripe, then the best part, I added the cute little chick to represent the title area from the sketch. This is such an adorable card. I love that little vintage chick! Super cute card today and thanks for the link to the sketch challenge! Wow! Maryann this is sooooooooooooo cute! <3! March is flying by I can't believe it is almost over. Your card is so cute. This is too cute, Mary Ann!! Love how you used the layout Sketch to create your card! 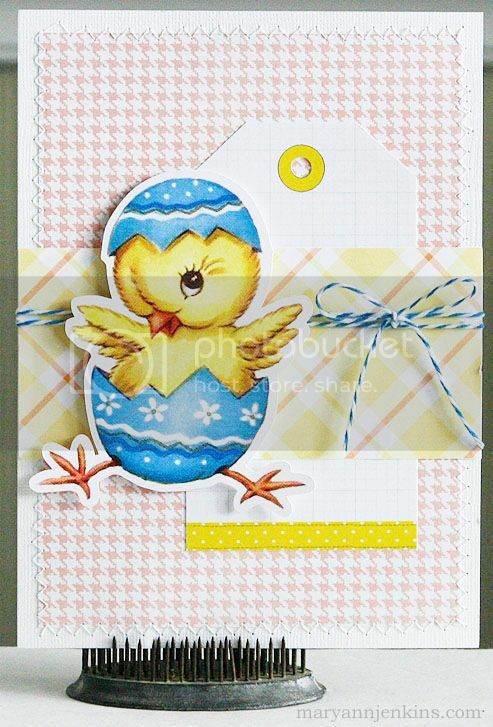 love that "CHICK" card.. oh so nice and simple.. thanks for sharing..